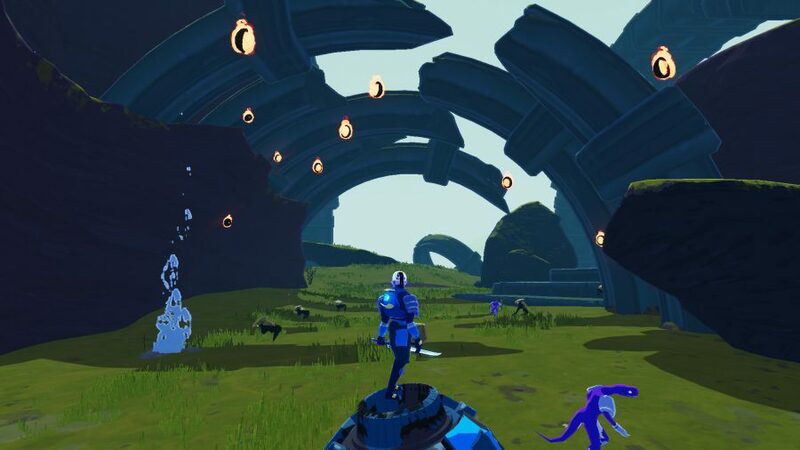 Not sure how to grab Risk of Rain 2’s Artificer? Risk of Rain 2 has come out of nowhere to impressive sales and plenty of praise. The once 2D roguelike is proving to be even better in 3D and brings with it some familiar faces as well as some new characters. While most of these characters can be unlocked by simply running through the game a few times, one of the Risk of Rain 2 characters is a little more elusive. Unlocking them is well worth it though as each of the playable characters in Risk of Rain 2 brings their own gameplay mechanics. The final character, Artificer, simply tasks you with completing the Pause challenge. However, your only hint for doing this is ‘Free the survivor suspended in time’ – that’s not much to go on. It turns out that there are a few steps required in order to save this survivor. Rather than being a skill-based challenge, this is more of a time investment mixed with the joys of RNG. Artificer deals the highest damage in the game, far more than any of the other survivors, so those of you who like dishing out big damage numbers will definitely want to unlock this trapped character. Here is how to get to the Artificer. Unfortunately, this is the dull bit. Well, not dull, because playing Risk of Rain 2 is a constant joy, but this will take a fair chunk of time. In order to get to where the Artificer is locked away, you’re going to need one Lunar Coin. These are items dropped randomly by fallen enemies, unfortunately, there is no particularly efficient way of farming these outside of just playing the game. 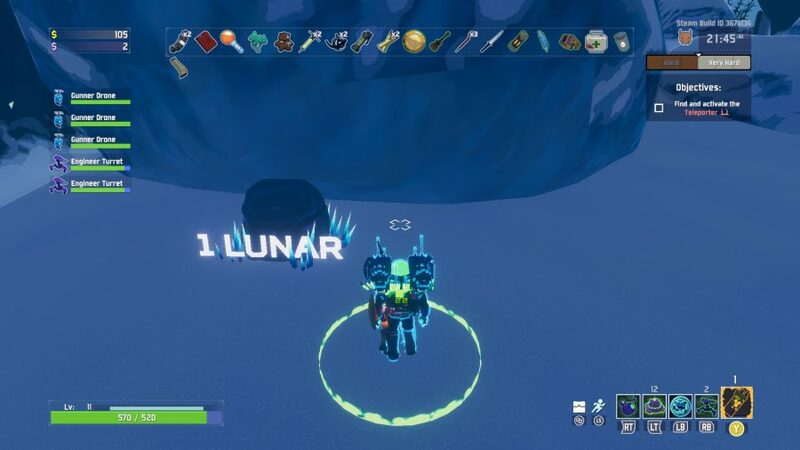 Though, it does seem like Lunar Coins drop more often in multiplayer. You have to spend one of these coins on a Newt Shrine that appears in different spots across the game’s various maps. Once you have done this, you will get a message telling you that a blue orb has appeared. Next, you’ll need to defeat the teleporter boss, which will cause a Blue Portal appear nearby, go through this to reach the place where you can free the Artificer. Unfortunately, there’s even more grinding ahead. To actually free the Artificer you need to spend ten Lunar Coins on it. Once you are through the Blue Portal you can work your way down to a vendor of sorts. Only the player who paid to open the portal will be able to see the Artificer and set it free. So, you can’t cut this step out by getting your mate to open things up for you. You need a total of 11 Lunar coins in order to rescue the Risk of Rain 2 Artificer. This feels like a lot of work, but if you play with friends and just prioritise getting one of your friends over the line at a time and you should be able to collect these Lunar Coins a bit faster. It still takes time of course, and RNG is nobody’s friend. Just work your way up to 11 before you even think about spending this rare currency. There is nothing worse than realising you wasted a Lunar Coin early on to get an item that you died with.